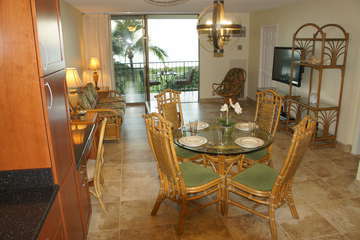 Aloha … let us extend our warm Hawaiian welcome to you and to our home away from home. Located in the charming and convenient town of Kihei on the Valley Isle of Maui, our beautiful two bedrooms – two baths ocean front condominium sits about 200 yards from the beach. 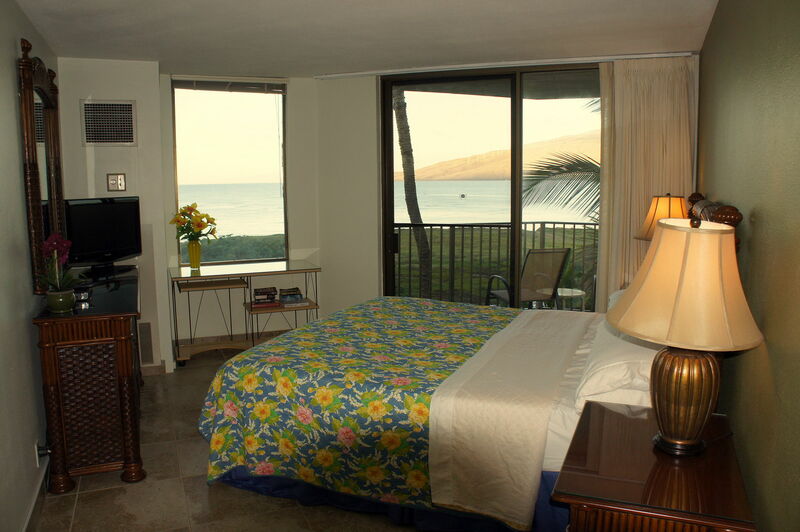 Situated on the front side of the condominium complex where one can enjoy panoramic views of the beach, ocean, and the hills of Maalaea. After a fun day exploring the island, come back to the condo where you can relax and sit on one of the two lanais, sip a tall, cool glass of passion-guava juice, sample fresh tropical fruits and, when the season is right, watch humpback whales frolicking in the ocean. 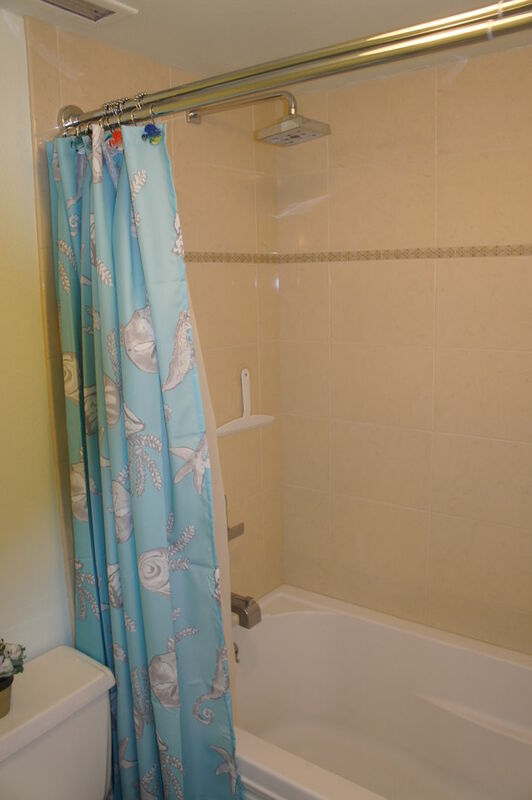 The condo is equipped with all amenities one would want or expect from a well-equipped home. All comforts of home are at your disposal. 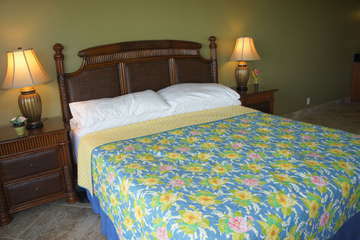 Comfortable King size bed with plush bedding in the master bedroom, two twin beds in the second bedroom, a clean bathtub and a walk-in shower, well-stocked kitchen (including pots and pans, cutlery, tableware, coffee maker, rice cooker, juicer), central A/C for warm days, state of the art video-audio equipment, free WiFi, free local telephone calls, and free parking. All you have to bring is tropical clothing (bring a jacket for the predawn trek to Haleakala! ), sunscreen, camera, flip flops and, the spirit of Aloha. Being in Kihei means you are close to everything; the airport is only 20 minutes away, Wailea is just ‘nextdoor’, Lahaina is only half an hour of leisurely driving. 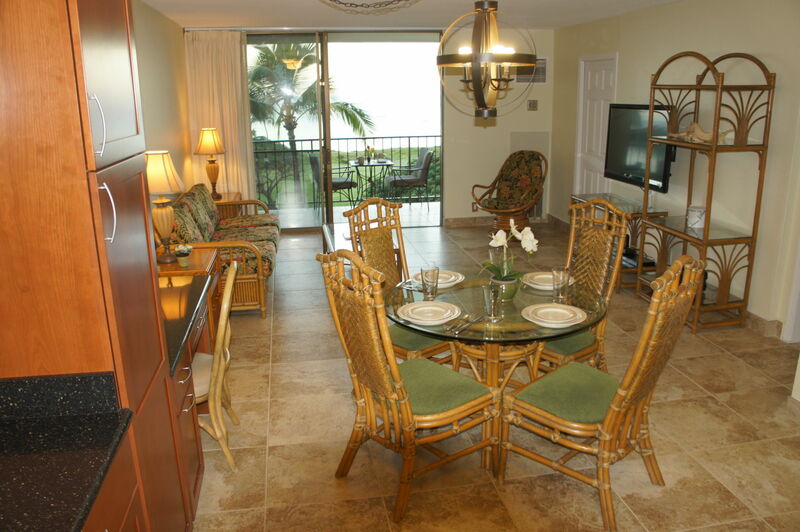 Our condo is within walking distance to shops and great restaurants and yet you are close to all of the major beaches for snorkeling, swimming, windsurfing, paddle surfing, etc. Like elsewhere on the island, Kihei’s lifestyle is laid back with friendly people. All you need to remember is to smile and say “Aloha” and “Mahalo” (thank you). Simply put, Kihei is da best location in Maui. Living Room: This room is the perfect place to lounge around after a day of Maui fun complete with a comfortable sofa, flat screen TV, and amazing ocean views. 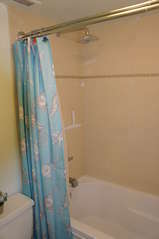 Cool off in the air conditioning for a while in this room. Kitchen: This fully stocked kitchen will allow you the convenience of making a quick breakfast or a full Thanksgiving meal. 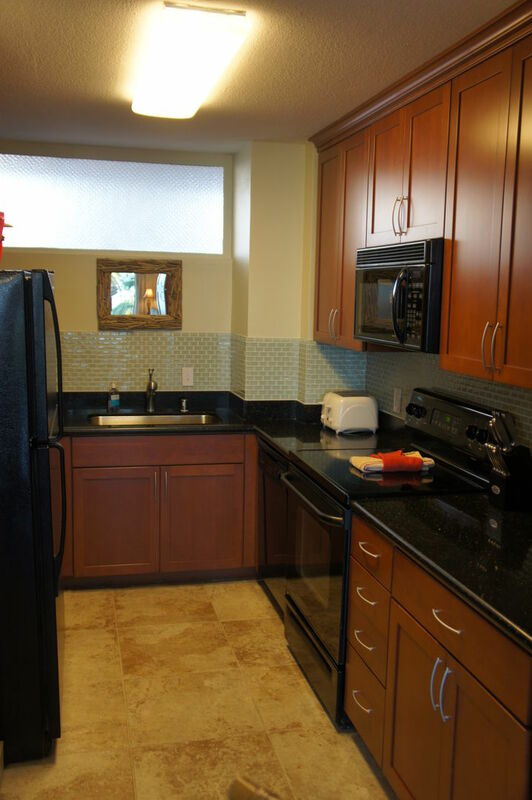 You will love the open layout full size appliances. 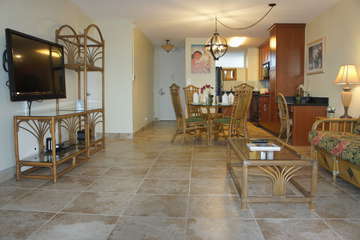 Open to a dining area that is a perfect place to gather. Master Bedroom: This incredible bedroom allows you to wake up overlooking the ocean as well as witness beautiful sunsets. 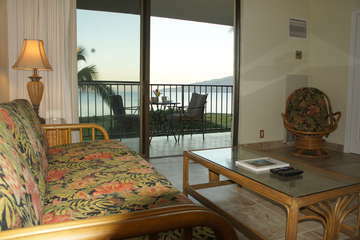 You have a private entrance to your lanai from this room and will fall in love with the views here. Enjoy your private flat screen TV in this bedroom. 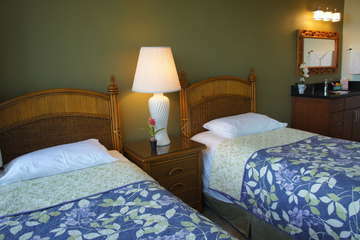 Guest Bedroom: This bedroom features 2 Twin beds and plenty of storage so you can spread out on your vacation. 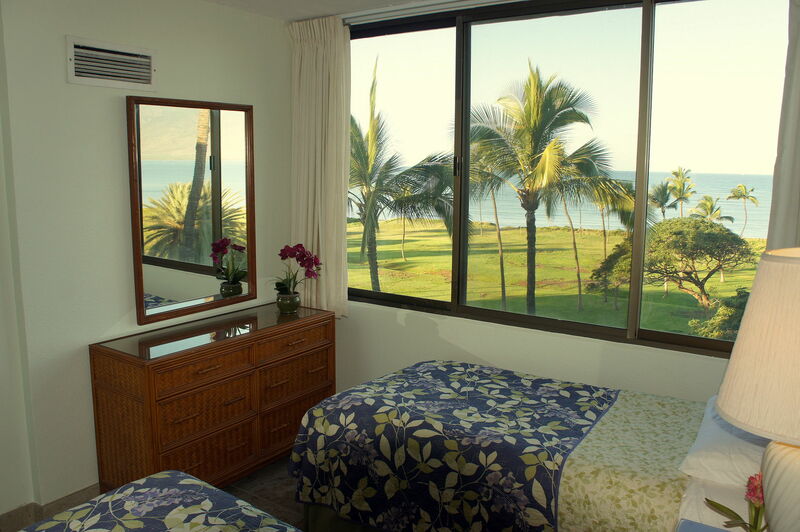 Enjoy incredible ocean views from this bedroom and wake up to paradise every morning. 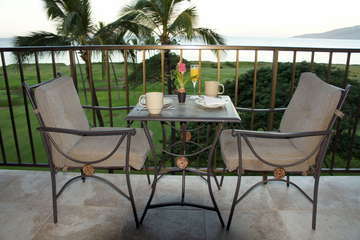 Lanai: This lanai is one of the best on Maui. Ocean front views allow you to witness the best sunsets and you will be able to watch the whales from your lanai in the winter months!